Professional quality hair. 24+ inches folded lays out to 48+ inches when unfolded. 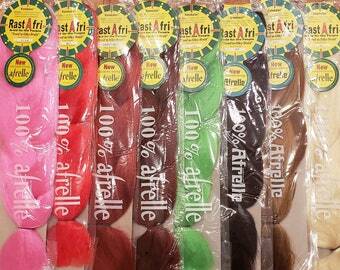 This hair is easy sealing and is heat sensitive to steam, boiling water, flat iron, or a hairdryer. 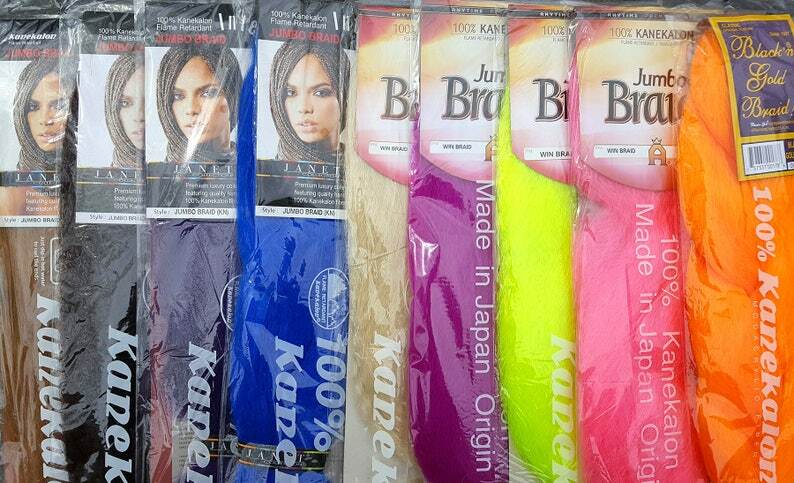 Available brands: Modu (Anytime Collection), Janet (Beauty Plus) and BnG (Black n' Gold). 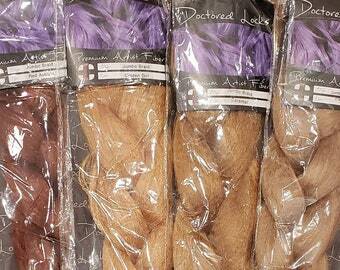 • Making hair falls and extensions; dreads, curly dreads, braids, twists, curls, waves, wigs. We have included color charts in the photos above as a guide only. Please note colors will display differently from monitor to monitor; this is not necessarily how it will look in person. If you need to match a specific color or need samples please contact us. If you like what you see, but want it a little different please contact us! We are happy to take custom orders at any time. Rush orders also available. Beautiful color! Exactly what I wanted! I can’t wait to braid my hair with this for Coachella!